Like all Canvas features, contrary behaviors relating to browsers are prioritized by our product teams, and some behaviors in the previous version may not be resolved. If a behavior exists in the previous version of the browser that does not exist in the current version, the best solution is to update to the newest browser version. Canvas is committed to W3C's Web Accessibility Initiative. To learn about supported screen reader and browser combinations, please see the Accessibility within Canvas document. Allow access to Canvas via Chrome's media permission settings . This prompt appears just below the address bar. Click the Allow button. The Canvas interface was optimized for desktop displays, so using small form factors such as phones may not be a pleasant experience in using Canvas. For the best user experience, please download the Canvas mobile applications. Since Canvas uses small elements of Flash, not all Canvas features may be supported on mobile devices, especially on iOS. However, Canvas offers limited support for native mobile browsers on tablet devices. For additional details, please reference the limited-support mobile browser guidelines. Previous Topic:What are the basic computer specifications for Canvas? Next Topic:How do I clear my browser cache on a Mac? Table of Contents > General Information > Which browsers does Canvas support? ¿Has probado otro navegador como Google Chrome para ver los videos? Recomiendo contactar con el equipo de soporte técnico de su escuela para obtener más ayuda. Have you tried a different browser such as Google Chrome to view the videos? I recommend reaching out to the technical support team at your school for further assistance. Before Easter, my Canvas worked fine with my Firefox ESR version; today it doesn't. Which makes me consider that the nasty little message was not needed but you decided to do it anyway. Maybe you will at some point realize that not all universities can afford to keep everyone's browser up to date!!! I'm experiencing this same issue. I've had several users report that Canvas their Firefox ESR started showing the "Browser not supported" message. All of them have ESR version 60.6, the latest update to the latest Firefox ESR version. Is there any specific reason support for ESR was dropped? It shouldn't be for security reasons, as mainstream security updates generally get backported to ESR releases in a timely fashion. Actually I marked the information as unhelpful, since I can't do anything about the fact that my Firefox is no longer supported!!! While I don't know all the technical reasons why Firefox ESR is not supported, I do know that it has never been officially supported (at least for the last 4 years). It looks like there was a minor change over the weekend that updated which older browsers now display that message. With that being said, despite the messages saying the browser isn't supported, is there anything in particular in Canvas that's not working as intended? I believe that besides the message now showing, nothing else should have changed and everything that was working before should still work now (despite not being officially supported). 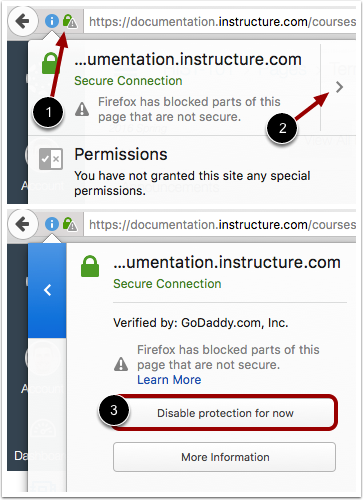 You can also read some insight about why we decided not to add support for ESR 4 years ago here: Include Firefox ESR as Supported Browser (read the comment from Instructure below the feature idea). Let us know if you have any other questions. The 4 years ago item suggested that you move the label that says Firefox ESR isn't supported to a small reminder that doesn't fill up the screen. But that didn't pass? I'll just have to go back to exporting my discussions to Word so I can print them out without the reminder filling up the page. I do not care to give Google Chrome all my work, thank you very much. And besides--the complaint in the first place was that Firefox was changed so often. And Canvas isn't??? The feature idea I linked to was about adding Firefox ESR as a supported browser for Canvas and at that time we decided not to implement that for several reasons. Yes, all major browsers have frequent releases and so does Canvas. Frequent releases allow technologies to deploy security updates and new and updated features at a quicker pace. I do apologize that this is affecting your workflow and that this message is now displaying in your browser when you access Canvas. If you need to print out material from Canvas, you are more than welcome to use one of the supported browsers listed here. There are several options besides Chrome if you are uncomfortable with using it, such as Edge, Safari, Internet Explorer, or an updated version of Firefox. Also, if you'd like to submit a feature idea suggesting a smaller reminder or a reminder that can be toggled on/off, you can do so in Ideas. this document says "Flash is required for recording audio and video in the Canvas Rich Content Editor. Other than these features, Flash is not required to use most areas of Canvas. Please note that some browsers may no longer support Flash." But I thought Flash was no longer required for this feature (media recorder in RCE). Does this documentation need to be updated? Thanks for the question, but this is still accurate. Some browsers (such as Safari) still utilize Flash for this feature, as noted in this guide: How do I record a video using Flash in the Rich Content Editor as an instructor? Let us know if you have any other questions. Re: What laptops will support canvas mirco-creds?